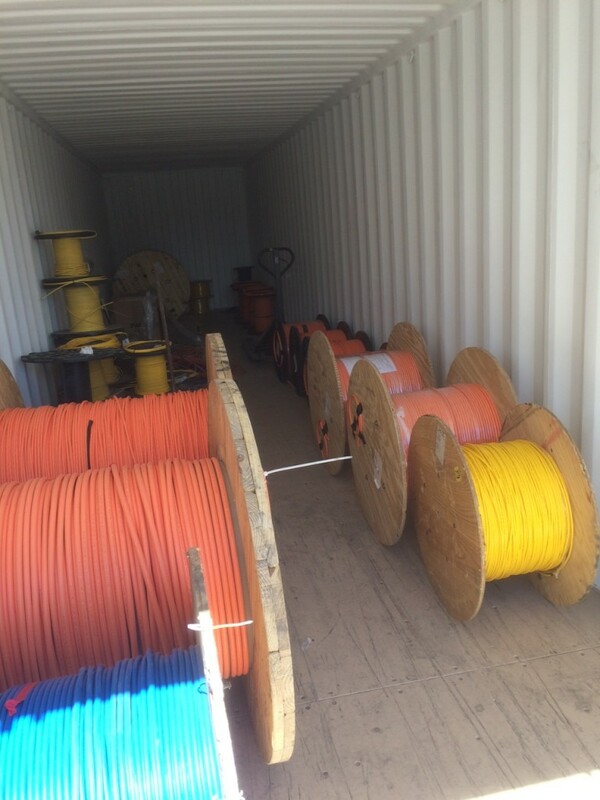 Inventory – Hartline Supply Inc.
We have a storage warehouse container stocked with Fiber Optic Cables of several sizes and styles. Most of them are used in the mining industry. There are both Singlemode and Mulitmode cables. Our stock includes two fiber, four fiber, and twelve fiber in Singlemode cables, plus six fiber Multimode and Singlemode cables. Plus, Composite cable with two electrical power wires and two Singlemode fibers combined in one cable assembly.